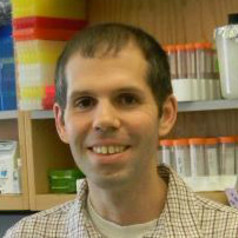 Matt Anderson is an assistant professor in the Department of Microbiology in the College of Arts and Sciences as well as the Department of Microbial Infection and Immunity in the School of Medicine. His work focuses primarily on the genetic determinants of clinically relevant phenotypes in the major human fungal pathogen Candida albicans. Researchers in his group combine experimental and computational approaches to understand how genetic variation in C. albicans alters interaction with the host and the clinical outcome during infection. Dr. Anderson has authored a number of manuscripts exploring the consequences of genetic variation in Candida species including gene family expansions, noise in gene expression, genetic network evolution, and gene function following species divergence. During his training he has been actively involved with the Society for the Advancement of Chicanos and Native Americans in Science (SACNAS) and the American Indian Science and Engineering Society (AISES). He is also a contributor to The Strong Heart Study, exploring aspects of cardiovascular health in Native Americans across the United States, and the Summer Internship for Indigenous people in Genomics (SING), which seeks to indigenize genomics research and train NA/AN/NH in genomic research.